Many of Littledata’s subscription customers come to us with a similar problem: how to calculate return on advertising spend, considering the varying customer lifetime value (CLV) of subscription signups. 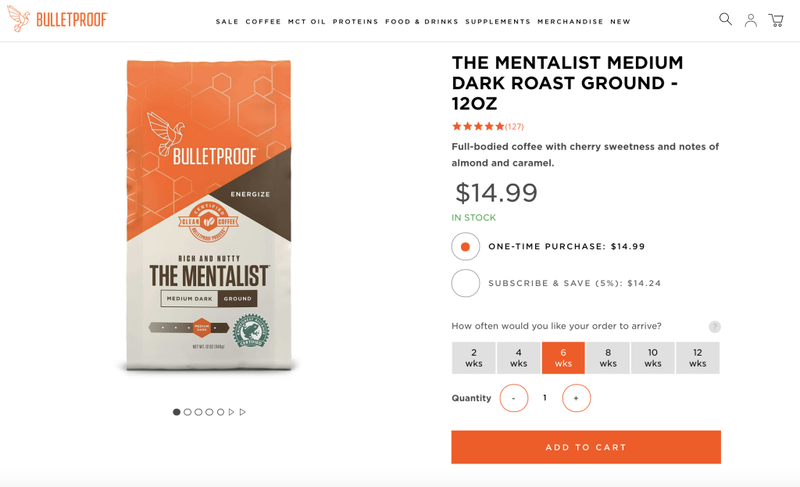 Calculating marketing ROI for subscription ecommerce is a big problem with a number of potential solutions, but even the initial problem is often misunderstood. In this post I break down what the problem is, and walk through two proven solutions for getting consistent, reliable CLV reporting in Google Analytics. I work with all kinds of subscription ecommerce businesses: beauty boxes, nutritional supplements, training courses and even sunglasses-by-the-month. All of them want to optimise customer acquisition costs. The common factor is they are all willing to pay way MORE than the value of the customers’ first subscription payment… because they expect the customer to subscribe for many months. But for how many months exactly? That’s the big question. Paying for a marketing campaign which bring trial customers who cancel after one payment – or worse, before the first payment – is very different from paying to attract sticky subscribers. A marketing director of a subscription business should be willing to pay WAY more to attract customers than stay 12 months than customers who only stay one month. 12 times more, to be precise. So how do we measure the different contribution of marketing campaigns to lifetime customer value? In Google Analytics you may be using ecommerce tracking to measure the first order value, but this misses the crucial detail of how long those shoppers will remain subscribers. With lifetime customer value segments we can make more efficient use of media, tailor adverts to different segments, find new customers with lookalike audiences and target loyalty campaigns. There are two ways for a marketing manager to see this data in Google Analytics: one is a more difficult, manual solution; the other is an easier, automated solution that ties recurring payments back to the original campaigns. It’s possible to see the required data in GA by manually segmenting orders and assigning a lifetime value to each channel. The accuracy of the data set for A is limited by how your Google Analytics is set up: if your ecommerce marketing attribution is not accurate (e.g. using Shopify’s out-the-box GA scripts) then any analysis is flawed. You can get B from your subscription billing solution, exporting a list of customer payments (and anonymising the name or email before you share the file internally). To link B to A, you’ll need either to have the customer number or transaction ID of the first payment (if this is stored in Google Analytics). Then you can join the two data sets in Excel (using VLOOKUP or similar function), and average out the lifetime value by channel. Even though it’s only a sample, if you have more than 100 customers in each major channel it should give you enough data to extrapolate from. Now you’ve got that CLV by channel, and assuming that is steady over time, you could import that back into Google Analytics by sending a custom event when a new customer subscribes with the ‘event value’ set as the lifetime value. What if you could import the recurring payments into Google Analytics directly, as they are paid, so the CLV is constantly updated and can be segmented by campaign, country, device or any other standard GA dimension? This is what our Google Analytics connection for ReCharge does. Available for any store using Shopify as their ecommerce platform and ReCharge for recurring billing, the smart connection (integration) ties every recurring payment back to the campaigns in GA. The only drawback is that you’ll need to wait a few months for enough customer purchase history (which feeds into CLV) to be gathered. We think it’s worth the wait, as you then have accurate data going forward without needing to do any manual imports or exports. Then, if you also import your campaign costs automatically, you can do the Return on Investment (ROI) calculations directly in Google Analytics, using GA’s new ROI Analysis report (under Conversions > Attribution), or in your favourite reporting tool. Do you have a unique way of tracking your marketing to maximise CLV? Are there other metrics you think are more important for subscription retailers? Littledata’s connections are growing. We’ll be launching integrations for other payment solutions later this year, so let us know if there’s a particular one you’d like to see next.